At Howell Landscaping we specialize in outdoor lighting systems, using only the highest quality lighting fixtures. 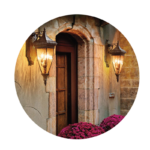 Exterior lighting systems enhance the natural beauty of your home, light a feature in your yard, or create a relaxing ambiance. We work with you to customize the look you want to achieve. Top quality fixtures use low voltage LED bulbs making them energy efficient, eco-friendly, lengthen the life of the fixture, and much more. We offer professional, reliable landscaping services year round. Restore your yard to its natural beauty or design and install all new landscaping. 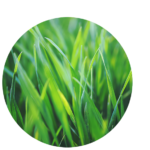 Howell Landscaping is a one-stop solution for your yard from sod installation to drainage solutions and erosion control. Think Howell for all your landscaping needs. 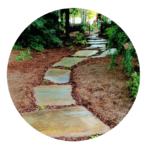 One way to add charm to your home is to add features like flagstone walkways, patios, water features, or any other feature you can dream up. Howell Landscaping of Georgia can build retaining walls with natural or artificial stone, timber, or cross ties. Add a fire pit to a backyard for nights of fun for the family and friends. Our basic program offers a solution to clients who do not have a need for our weekly maintenance program while still providing you with our professional and reliable services. Howell Landscaping offers a strict prestigious schedule that focuses on all aspects of your yard. It consists of 48 visits per year with all of the following included. This allows us to provide you with our professional and reliable service more consistently.